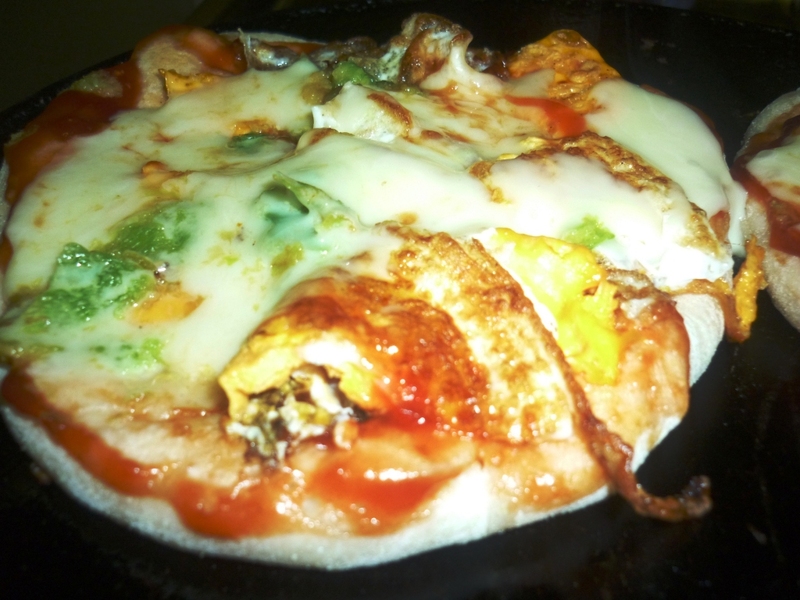 This Kids Pizza is just a trial from deepsrecipes which turned out to be tasty .Topping can be anything you like,but here we are using egg omelet strips,bell peppers and lot of Mozzarella cheese. 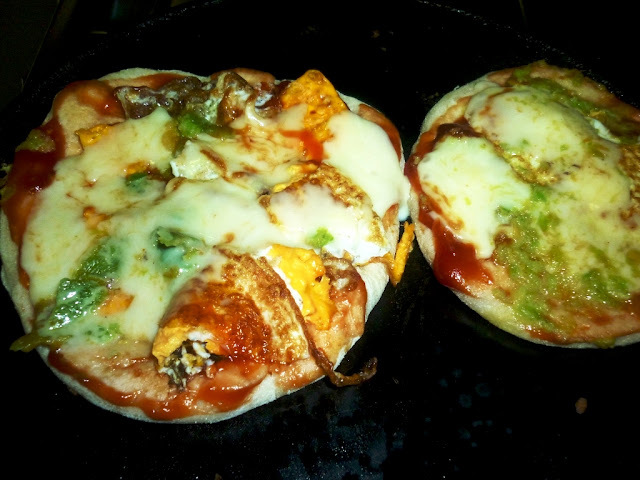 This can be sent as a school snack too.If you want the normal Pizza recipe please click here. 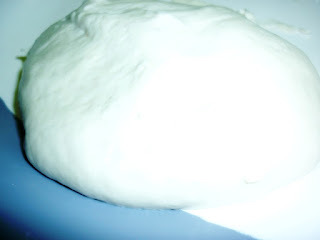 Bell pepper -Chopped/if your kid is not a big fan of Bell peppers,you can even puree to make it go along with Mozzarella. Check out the Pizza recipe for more details. Apply the toppings and drizzle some olive oil.Bake for 10 minutes at maximum oven temperature.